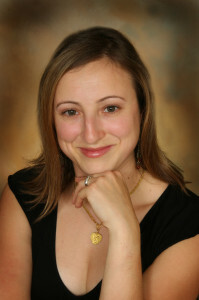 Lara Armstrong, is a licenced Naturopathic Doctor who currently practices in Ancaster and Hamilton, ON. She received her training in Naturopathic Medicine from the Canadian College of Naturopathic Medicine (CCNM), graduating in 2004, and started her private practice, Armstrong health in 2005. Her areas of interest include: digestive conditions (IBS, celiac, Crohn’s disease and ulcerative colitis) and women’s health. She has received training as a Doula (birthing assistant) and has special interest in all stages of birth from assisting fertility to delivery. Dr. Armstrong is very passionate about helping women who are going through menopause, providing them with education and has been involved in several speaking engagements discussing this topic. Additionally, Dr. Armstrong has prescribing rights associated with her license and has extensive experience with the use of bio-identical hormones as one of the treatment options when it comes to hormonal issues. “Medically trained, Naturally focused” is very true to Dr. Armstrong’s style of practice. Dr. Armstrong has also given back to her naturopathic community by sitting as a director on the Ontario Association of Naturopathic Doctors since 2016. Outside of clinical practice, Lara enjoys the practice of yoga and crossfit and the health benefits that these provide. She is the mother of 2 children, whom she learns more and more from every day.